On November 3rd, 1957 a space rocket was launched from Baikonur which brought a Sputnik-2 satellite to the Earth orbit. 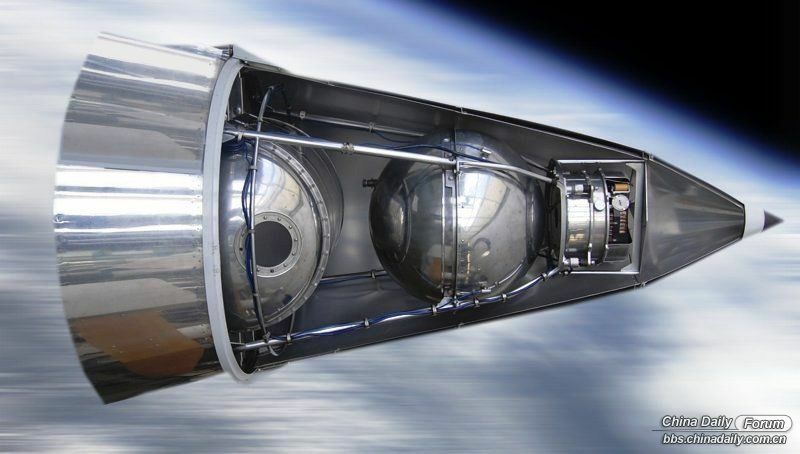 This was the second man made space ship on the Earth orbit. And differently from its predecessor it was a much complex ship. It’s weight was just around a half ton. It looked like a conical capsule of 4 meter tall. It had a few chambers for scientific devices, radio, telemetric system, program module and a system to support temperature and air to the cabin. But most importantly this was a first space ship with an alive animal on it – the Laika dog. This launch was prepared very urgently as Soviet leader Kruschev wanted to enjoy most he could from Soviet space program success after the launch of the first Sputnik. This Sputnik-2 was devoted to 40 year October revolution anniversary. 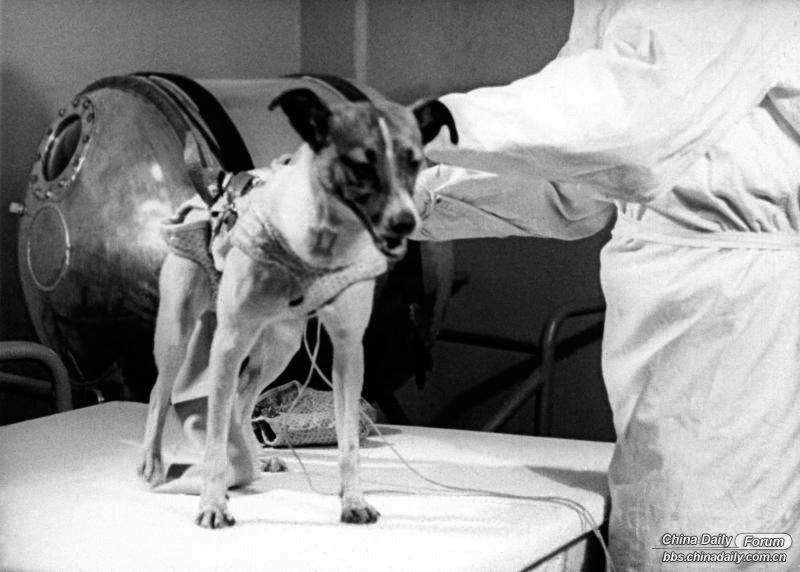 The flight of Laika had to respond to fundamental question – if the living creature can survive on the Earth orbit in a zero gravity condition. But why Laika? 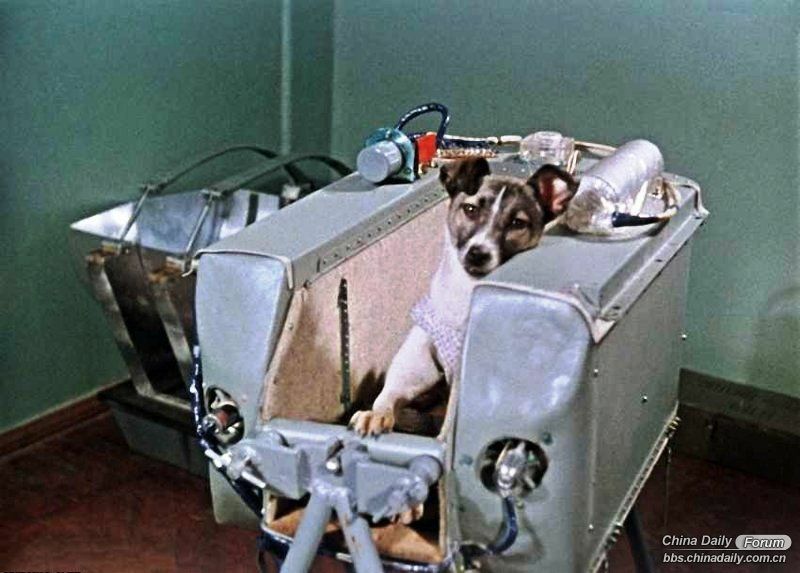 When scientists were deciding what animal is best for the space exploration flights they chose a dog. The reason is pretty simple – dogs are modest creatures, can be trained. Americans have chosen apes, but in USSR they wanted to deal with more quiet animals so they chose dogs (however later Soviet scientists also launched some dogs to space). 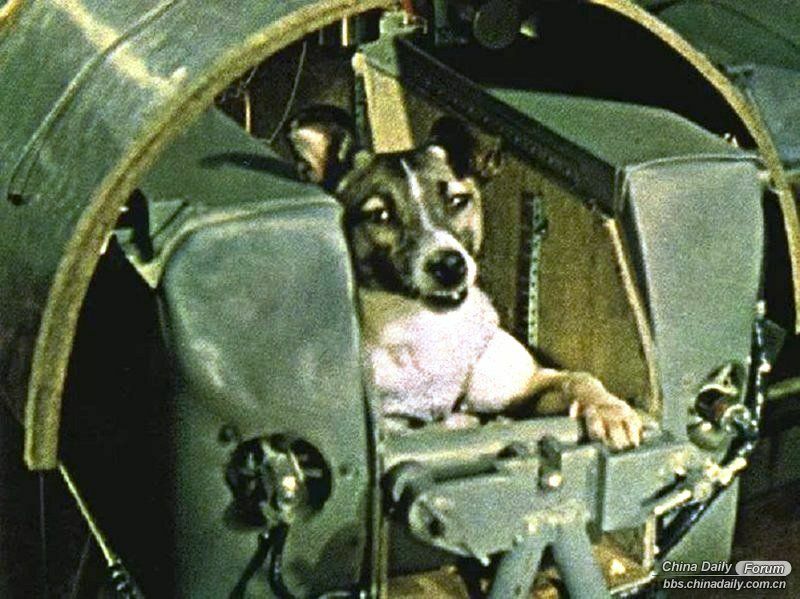 Strictly saying Laika wasn’t first living creature in space – before that USSR has send a few rockets to the altitudes of a few hundred kilometers and then returned the capsule on a parachute with dogs inside. 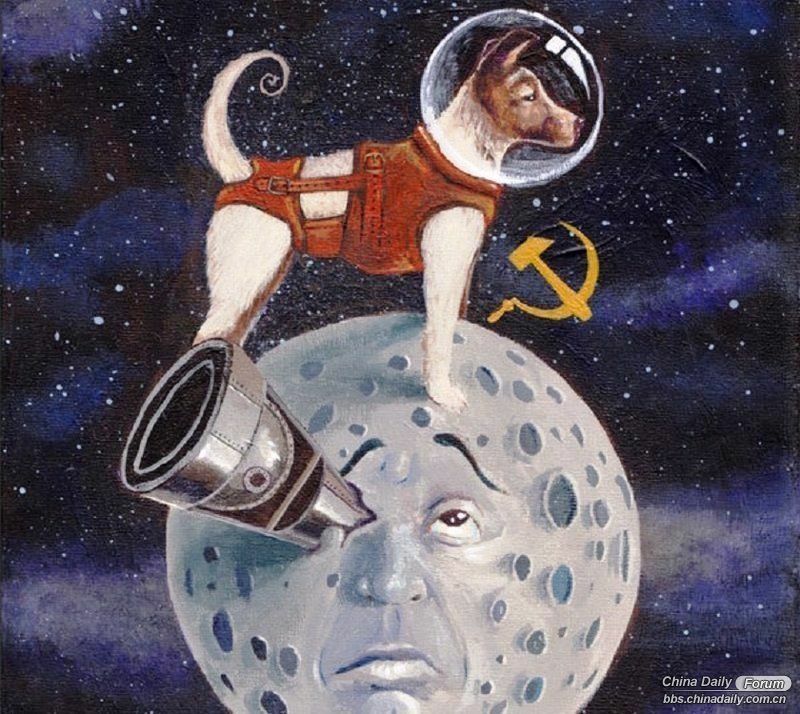 So there was a whole “dog squad” of cosmonauts before even first Sputnik got into space. However orbital flight was a total new step into space exploration. They were looking for a dog not more than 5-7 kilo weight (the engineers of the Sputnik got this requirement for scientists). The good breed dogs were instantly out of question because they are too pampered, need too fancy food and not too endure.The no breed dogs were selected and they needed white dogs, because that was a requirement of the photography director. Then the dogs were tested on centrifuges, shakers, and other trainers that later would be used to test the people pilots. Then at the end they got 10 dogs, and the finalists were only three – Laika, Albina and Mukha (fly). Then less photo beautiful Mukha became a“technical” pilot that was tested various space ship systems but on the ground. Albina till that moment already made two flights on regular rocket and got down on a parachute, and also it became pregnant and got little puppies. The scientists took pity of her – they knew the animal won’t return from space. 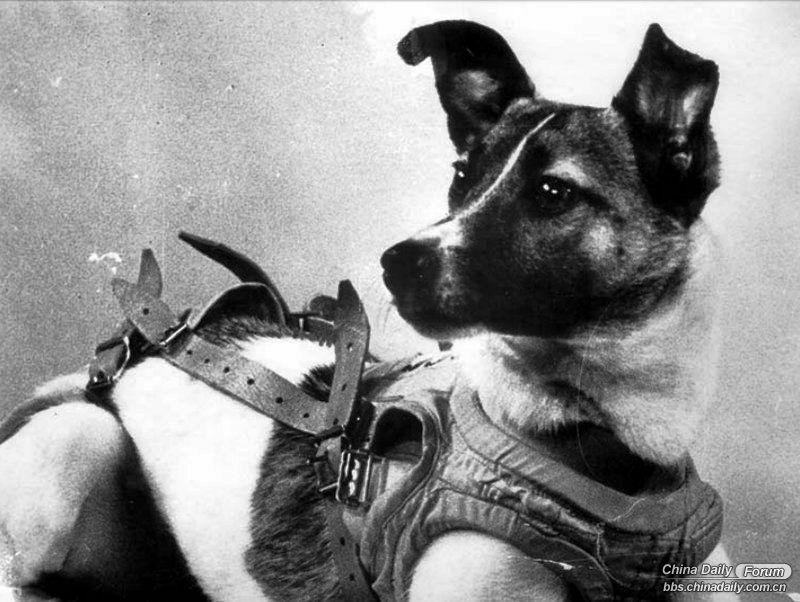 So they had chosen Laika (and Albina was a reserve pilot). During last stage all three dogs were trained to live in a container of the Sputnik. 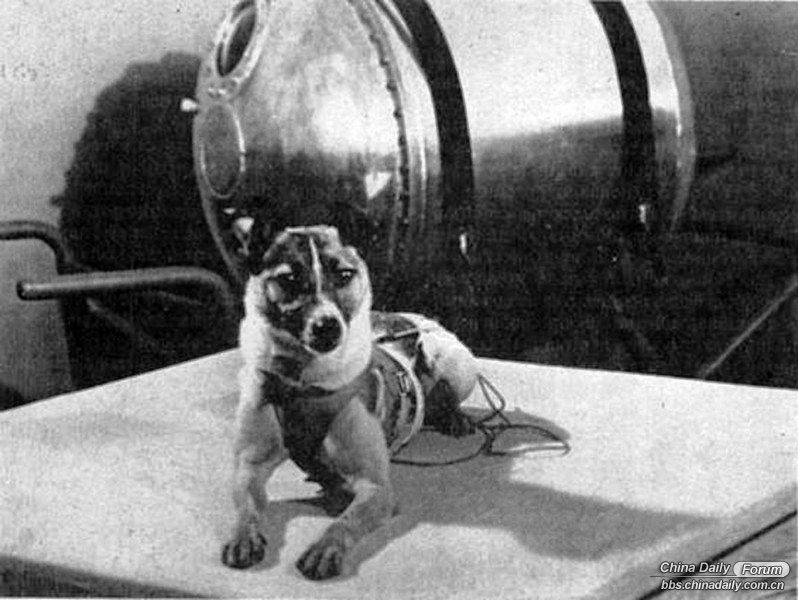 Already at Baikonur launch site the Laika dog was seated every day for a few hours into a container so she get used to automatic feeder, jumpsuit, and wearing electrodes on itself. The jumpsuit of the dog was fixed to the container with small steel cables. Their length allowed the dog to move a bit. At the end of those cables there were sensors which had to test how the dog would move in space. Before the flight Laika got a surgery and a few sensors were implanted to test her breath on her ribs and test her pulse near carotid artery. A few hours before the start she was placed into a hermetically sealed cabin in the Sputnik-2 ship. However just one hour before the launch the engineers and biologists broke the rules and opened the cabin to let the dog have last drink. It’s container on the Sputnik had the water feeder too but people on the Earth wanted to do something good for the dog who goes away from the Earth forever. But how exactly Laika died? The fact that she is never going to make it was known from the start. In 1957 there were no systems that let return the space ship from the space. The whole purpose of creating such devices would prove useful only after the test flight of the Laika would prove that living being can survive in space and thus needs a landing module to get back. The survival system on the ship was meant to allow Laika live on ship for seven days. It has survived the launch, it was proved by the sensors. But it didn’t live for seven days – only four turns around the Earth. The malfunction of the devices – as a result the cabin became too hot and Laika died. In USSR they didn’t report the death of the animal for the seven days, then they reported that the dog got put to sleep as the survival system couldn’t support her anymore. The worldwide delights was also mixed with terror feelings – the animal protectors from the world considered this test flight to be “barbaric”. The New York Times has called the Laika “one of the most miserable dogs in the world”. Someone in the West has offered to launch Nikita Kruschev next, instead of dog. And the most funny response was from housewives from Mississipi state (as was reported by Soviet media) they sent a letter to UN with the phrase “that if the scientific progress needs some victims, then just ask, we in Missisipi have a lot of little negros”. What was a scientific meaning of the flight? It didn’t die for nothing – it proved that living beings can survive in space. So Laika opened door for human space exploration. 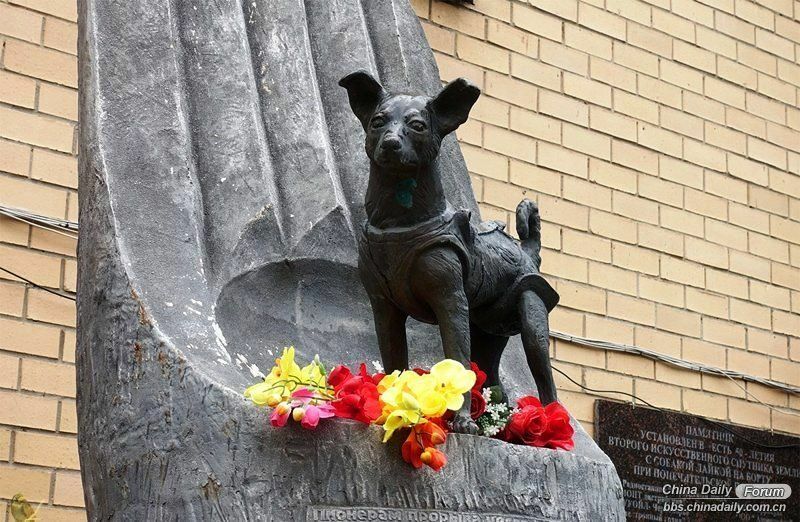 Three years after Laika flight two other dogs – Belka and Strelka became first living beings who successfully returned from space orbit. 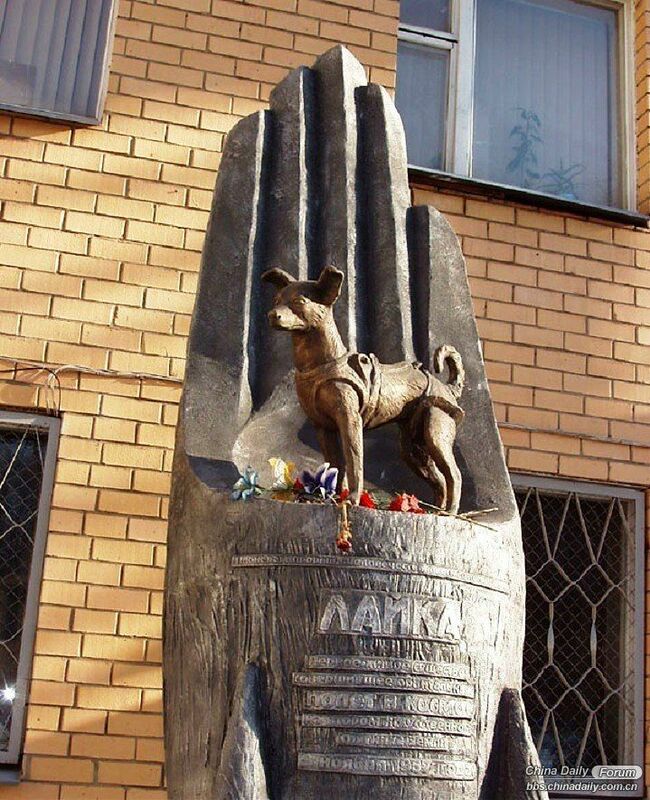 In 2008 in Russia they made a monument devoted to Laika. It’s a two meter rocket with alittle proud dog on top, who opened big road to the space. Gud extraordinary Space Travel story. Kinda sad for Laika, but without her, there would never b the following successful returns. A fulfilling, if not rewarding canine life.